Manufacturers like Ethicon and Atrium face lawsuits for their hernia meshes. Non-absorbable hernia mesh, which is supposed to stay in the body indefinitely, is used to support weakened abdominal tissue. However, some patients allege that the mesh injured their intestines, bowel, and abdomen, often necessitating additional surgery. 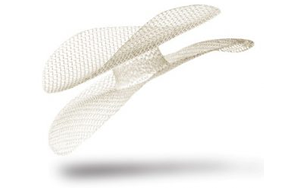 Patients who had to undergo revision surgery because of hernia mesh complications may be eligible for a lawsuit against the manufacturers. A lawsuit can recover damages for medical bills, lost wages, and pain and suffering. While there have been few settlements for hernia mesh so far, similar surgical meshes—like transvaginal mesh—have resulted in multi-million dollar verdicts and settlements for plaintiffs. If you or a loved one suffered side effects caused by hernia mesh, contact us today for a free, no-obligation case review. You may be eligible for compensation.